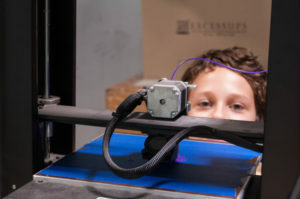 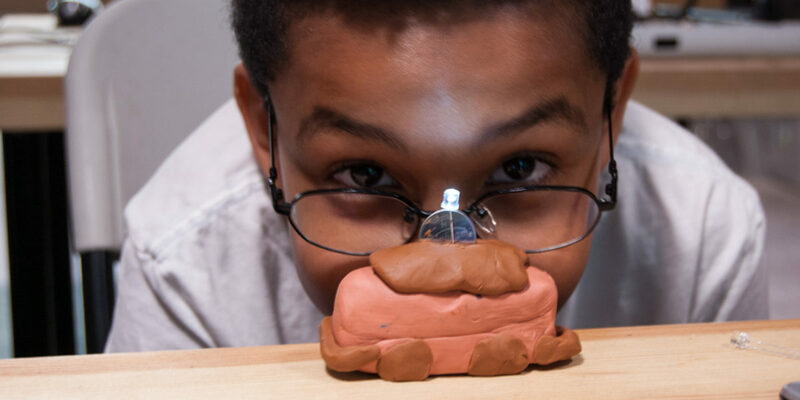 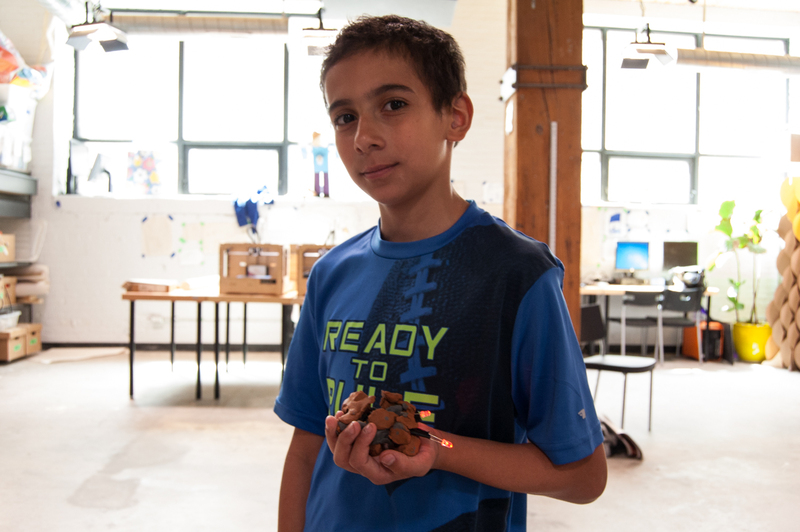 It is hard to believe that not even that long ago, founders Andy Forest & Marianne Mader were running a Kickstarter to fund their dream of opening an all-ages maker space with a focus on education for adults and kids. One of the most generous Kickstarter rewards was to sponsor a class for a day at STEAMLabs, and we have Mozilla to thank for funding a special education class for Secord Elementary School students. 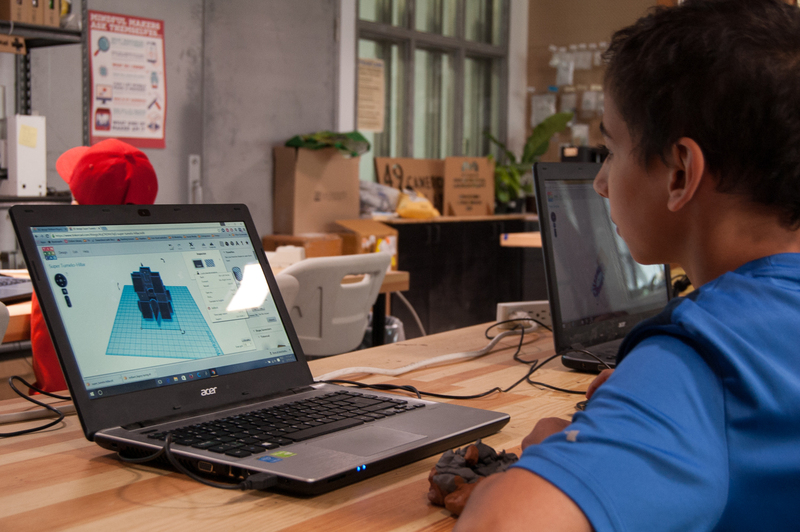 “It was really sweet to see how eager they were to share knowledge with one another,” says Meera, who spent the day teaching Tinkercad, 3D printing and the basics of Arduino. 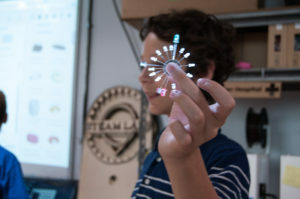 Meera Balendran and Donn Pasilio, two of our Maker Educators at STEAMLabs, had the privilege of hosting the class and spent the day teaching the foundation of maker tech through fun, hands-on activities. The students started the day as beginners but ended the day feeling like pros, as they quickly caught on and started putting their heads together. Meera and Donn could not help but notice how proud they solved problems together and started helping each other out. 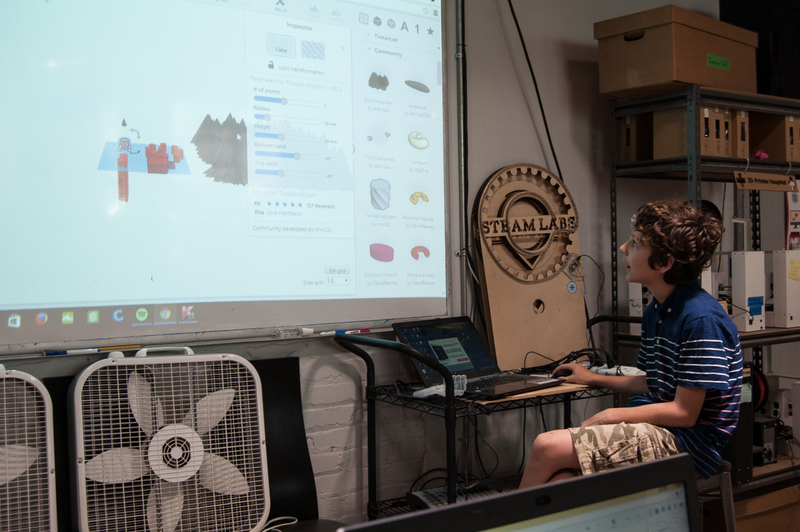 Teaching hands-on programs using software and physical components can be expensive, so finding ways to make this kind of education more accessible is one of the many ambitious goals here at STEAMLabs. 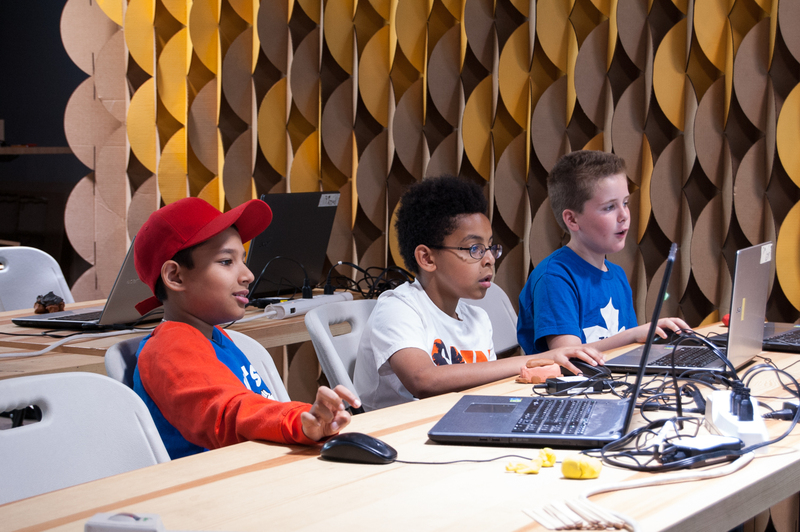 Meera & Donn received a touching thank you card from the students of the special education class of Secord Elementary School, but everyone here would like to thank Mozilla, whose generous Kickstarter reward made such a great day even possible.